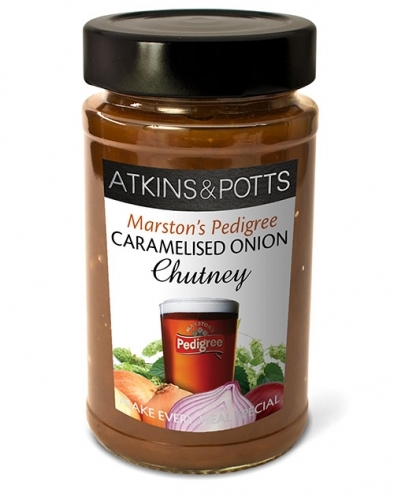 Using premium Pedigree ale and British onions, this chutney is delicious with hot and cold meats and cheeses. Adds a gourmet twist to goat's cheese tarts and filo wraps. Not Suitable For Vegetarians, Vegans and Coeliacs.